Effective June 2, 2014 through June 2, 2015, the IRS begins a temporary one-year pilot program to help small businesses with retirement plans that owe penalties for not filing required reporting documents. This program is intended to provide relief from penalties to plan administrators and certain small businesses sponsoring certain eligible one-participant or employer-spouse plans, an eligible business partnership or certain foreign plans not subject to Title I of ERISA. 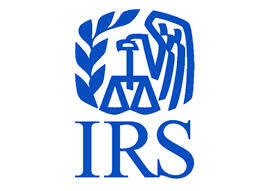 Separate penalty relief is available for certain Title 1 plans and is addressed in IRS Notice 2014-35. Plan administrators and sponsors who fail to file Form 5500 Series Annual Return/Report could face penalties up to a $15,000 maximum per return or statement. The penalties can be avoided by filing the necessary forms no later than June 2, 2015. Revenue Procedure 2014-32 addresses the scope and application of this one-year program. The IRS expects the new program to bring a significant number of small businesses into compliance with the current reporting requirements. Unfortunately, penalty relief is not available for those previously assessed a penalty for late filing. A complete Form 5500 Series Annual Return/Report, including required schedules and attachments for each plan year for which penalty relief is requested must be submitted to the IRS. Multiple return filings (years or plans) may be included in a single submission. No filing fee will be assessed during the pilot program.